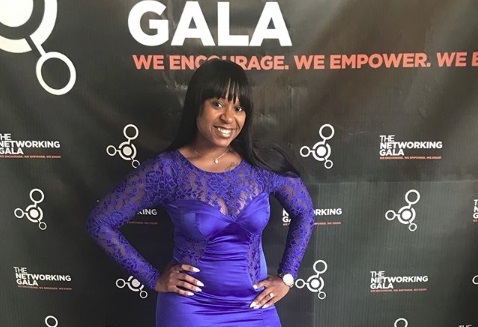 Inspired by her experience, Taneice brainstormed a model salon and spa where women “could feel comfortable and have that confidentiality with their stylist, as well as be educated on healthy hair and skin.” Today, the 29-year-old is an entrepreneur and founder of Sheer Bliss Hair Lounge & Spa. The full-service salon is a haven for women like Taniece who’ve suffered hair loss of any kind. Whether their hair was damaged in a salon, or shed after chemotherapy, they can find the best hair care and service at Sheer Bliss. We spoke with Taniece about her new salon. Read on for more details! What does Shear Bliss specialize in? Shear Bliss has specialized services for women suffering from cancer, lupus, alopecia or some form of traumatic hair loss. We first educate women on how to maintain healthy hair and skin by promoting healthy eating habits, as well as all natural products that help the hair and skin. We then provide a solution to their hair loss whether it be a treatment, custom wig, head wrap or stimulating the scalp to increase hair growth. What services does the salon offer? The salon offers all the services of a regular salon: cuts, color, updo’s, extensions, blowouts, braids, natural hair, sew-ins. Our specialized services include custom wigs, head shaving, mastectomy fittings, and hair and scalp analysis. The spa offers other services, such as waxing, eyelash extensions, facials and massages. We also specialize in natural hair care and the majority of our products are all natural and paraben-free. Tell us a little about the mastectomy fitting service. Women who have breast cancer and have undergone a mastectomy or double mastectomy need to be fitted for a bra and maybe a prosthetic after their surgery. At Shear Bliss, we offer those mastectomy fittings and also have the bras and silicone prosthetics for them to choose from. I am a certified mastectomy fitter with the ability to accept health insurance for guests to offset costs. After doing some research, I found that there are not a whole lot of places women can go to be fitted for a mastectomy bra. I wanted to add that service to the salon and give women another outlet to shop for the right bra and prosthetic that suites their lifestyle. As a businesswoman, how have you marketed your new salon? I ran two crowdfunding campaigns, on indiegogo and kiva zip, to market my business. I also networked with non profit organizations, hospitals and doctor’s offices to introduce myself and the salon’s services that will help their patients. Shear Bliss Hair & Spa’s website is used to market and detail more in depth about the salon and spa, our mission, how we give back and our services. We also have a business page on social media and use outlets such as Facebook and Instagram to market. I also joined organizations, such as the local chamber of commerce in West Orange, as a marketing and networking tool. Going forward, I plan to run ads on the radio and local newspaper. Because hair loss can be such a traumatic experience, how do you and the staff maintain the salon’s business structure but also add a personable and supportive touch? I understand first hand what losing your hair feels like. I designed the salon to have private rooms for clients to feel safe and comfortable having an honest conversation with their stylist about what is going on with their hair. If they are not sure why their hair is thinning or falling out, then we can do a hair and scalp analysis, which is a microscopic lense that is 200x magnified and can see the scalp to determine if their is excessive buildup, a broken follicle, etc. We also are membership based, which allows us to cater to our clients from the moment they walk in the door. Amenities such as free Wi-Fi, a refreshment cafe, a quarterly newsletter on maintaining healthy hair, discounts on retail products, monthly maintenance on custom wigs, free basic facials and paraffin hand treatments on every visit are just some of the perks included in our memberships. Shear Bliss is all about empowering women and helping them to understand that although losing their hair is devastating, their are solutions and ways to still feel and look beautiful and be confident in their own skin.